Welcome to World Spine Day 2012! Amanzimtoti Chiropractor – For the treatment of pinched nerves, headaches, neck pain, lower back pain, shoulder pain, sciatica and colic. Every year on October 16th people from around the world join together to raise awareness on World Spine Day as part of the Bone and Joint Decade’s Action Week. Spinal disorders, such as back pain, neck pain, scoliosis and disc disease, to name a few are common, and they can have a profound effect on a person’s overall health, impacting a person’s ability to work, to enjoy everyday activities and even disrupting healthy sleep patterns. Research has demonstrated that poor postures and inactivity can contribute to the development of back pain, neck pain and other spinal disorders. 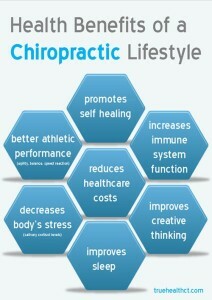 • Up to 80% of people will suffer from back or neck pain during their lives. • 50% of the working population will experience back or neck pain symptoms at least once per year. • Back and neck pain is one of the most common reasons for workplace sick leave. • Back pain is the second most frequent reason for visits to the doctor’s office, outnumbered only by the common cold. The good news is that many of these common problems can be easily avoided! That’s why this year’s theme for World Spine Day is “Straighten Up and Move,” focusing on the importance of proper posture and movement in maintaining good spinal health. To help mark World Spine Day, participating health care providers and organizations around the world will provide important information, tips and tools to help prevent many of these spinal disorders. the World Spine Day website at www.worldspineday.org. We charge medical aid rates. Most medical aids do cover chiropractic, please check with your medical aid or contact us for more info.